Use pano at checkout for 15% off your first order. "Thoroughly impressed with the print I got from you guys and equally impressed with the packaging. Most importantly, put a big smile on this bday girl." When it comes to panoramas, particularly those taken with a smartphone such as an iPhone or Android device, there are no standard print sizes. The reason for this is with a smartphone panorama, any two images could have different aspect ratios due to when you choose to begin and end the capture of your panorama. Select a product and upload your image. From the select a size page click "Lock Aspect Ratio"
Can I use a panorama from a smartphone such as an iPhone or Android? Yes, and they can produce beautiful finished work. Be sure to upload the highest resolution image file from your smartphone. How do I get the highest resolution panorama from my smartphone? If emailing the panorama from your smartphone to computer when placing an order be sure to select the highest resolution image file. For an iPhone this is "Actual Size" and for Android it's "Original Size". Which products are most popular for panoramas? 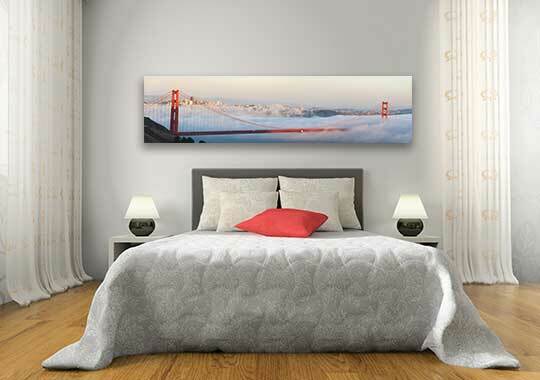 The most popular products for panoramas are the Floatmount and the Gallery Acrylic Facemount. What is the turnaround time once I place my order? Most orders are produced within 5 business days. Shipping with UPS Ground is typically 3-4 business days. 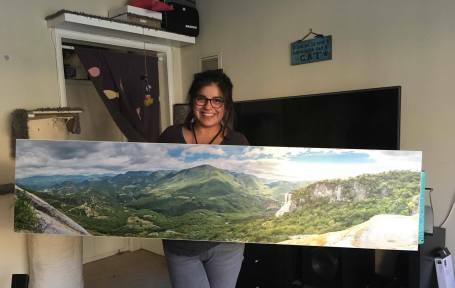 Will my panorama wall art arrive ready to hang on the wall? 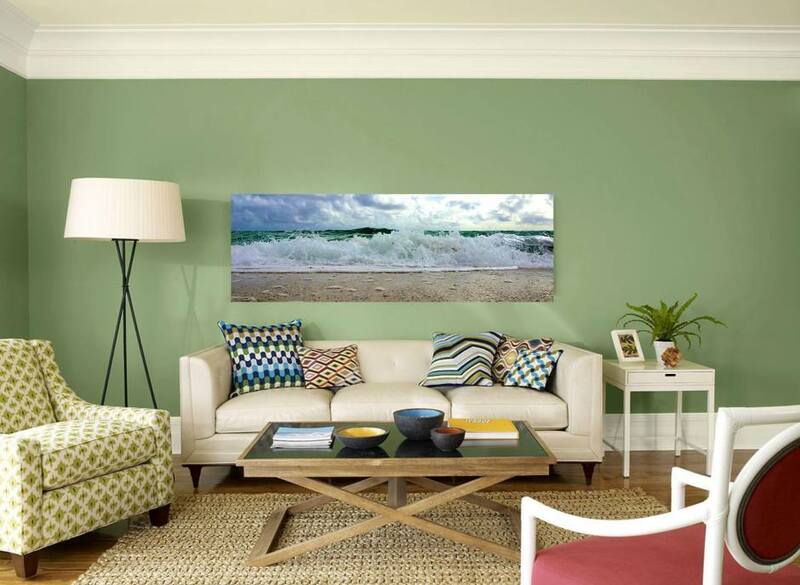 Yes, your panorama arrives ready to hang and will only require standard drywall screws, a drill, and level for installation. 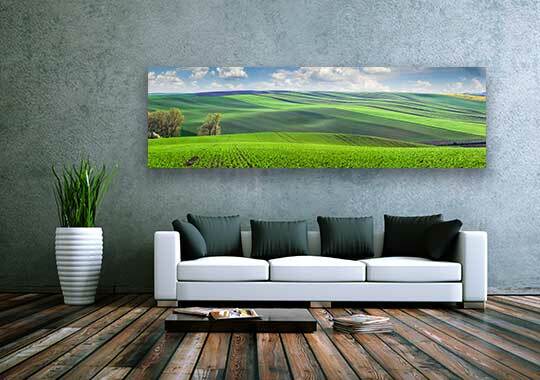 How do I hang my panorama on the wall? Hanging instructions may be found here.